Asia’s high rental fees and fast changing market landscape have forced many retailers to close their business or file bankruptcy, as in the recent case of one well-known international entertainment retailer’s closure in Hong Kong. Retailers are at a tipping point where they must evolve their business model to appeal to a new generation of shoppers or face elimination. Meeting the demands of digital native consumers means offering customers what they want, when they want and in the way they prefer. Besides maintaining profitability, building a digital marketplace is the top priority to engage their customers but is further complicated by a growing number of competitors from across the globe, as well as the need to adapt new technologies like AI chatbots, digital wallets, kiosks and seamless integration across functions. This new digital marketplace must be resilient and available at all times to meet the changing consumer shopping trends. It must also be secure so that customers can trust to transact over it. Lastly, it must be scalable to handle periodic peak traffic. All the above would stress their traditional network and failure on any of the above conditions would result in large financial consequences. SD-WAN is emerging as a solution to better manage connections to sites and platforms serving global markets, enabling them to catch market opportunities as quickly as possible. SD-WAN deliver retailers the ability to effectively handle real-time traffic steering – such as volume spikes on China’s Single’s Day or for Black Friday, and Christmas sales. The in-built security features within the SD-WAN service is able to secure the data traffic sent across the internet so that transactions remain secure. Despite understanding the need to evolve their traditional network, the management is often hesitant to move away from solutions they know. The obstacles they face include lack of expertise, interoperability with legacy networks, security, and the cost to transition to SD-WAN. Lack of available experience and talents in managing SD-WAN adoption. Retailers are predisposed to stick with existing networks rather than migrate to SD-WAN as major network transformation can potentially lead to downtime, outage, customer complaints and ultimately result in lost sales. Yet the reluctance is largely due to a lack of in-house skilled talents to plan SD-WAN deployment. The good news is that many SD-WAN providers offer a Managed SD-WAN service, where we can manage their SD-WAN deployment on behalf of the customer. Interoperability stands as a primary concern for many retailers. A retailer’s operation working through multiple points of sales at great distances either in different districts, countries or digital platforms may be forced to look to connectivity services from local providers resulting in a complex mix of prices for services, and differing connections switching between MPLS, 4G, DSL and dedicated internet. SD-WAN acts as an overlay to these access connections. A true SD-WAN service is able to function regardless of which network provider you choose. Cyberattacks, data breach and security considerations. Network-based security attacks are on the rise – and that’s bad news for retailers who can see brand loyalties and value destroyed when customer data is compromised. However, even though retailers are keen to leverage SD-WAN, they realize that inadequate planning or poor execution can open new avenues of attack. The fact that many retailers don’t typically have an in-house network or security team only makes the problem worse. Having an experienced SD-WAN provider to setup and configure is important to ensure that the system is secured. Perceived as a costly company-wide IT overhaul: Compared to other industries such as finance or manufacturing, retailers usually don’t have large IT budgets. Transitioning to SD-WAN may signify a large-scale, company-wide network project, leaving retailers reluctant to transform their legacy network. However, the truth is that the SD-WAN deployment may not necessarily lead to a large cost. The SD-WAN deployment is an overlay on top of the existing network and it doesn’t require major overhaul. In certain circumstances, some retailers may even be able to see some cost savings with the rebalancing of their network bandwidths. The bottom line for retailers still reluctant to migrate to SD-WAN is that the technology enables the enterprise breaking down the silos, enhancing customer experience by improved applications performance, and speeding their deployment as part of the go-to-market strategy, especially in today’s fast evolving market. Working with a managed services provider (MSP) to manage the transition from a legacy network to SD-WAN can offer significant benefits for retailers who typically do not have in-house expertise and experience in the technology. From the start, a MSP can streamline implementation while designing and planning an SD-WAN architecture with built-in security to custom-fit for the retailer’s operations. Once deployed, the MSP can provide the real-time monitoring and analytics to help the retailer achieve greater visibility to their applications to optimize performance, and ultimately enhance the customer experience and drive sales. Considering the central role the network plays in retail today, the competitive nature of the business and the demanding new generation of digital native consumers retailers must win over to succeed, SD-WAN is shaping up as an important competitive advantage for the industry. 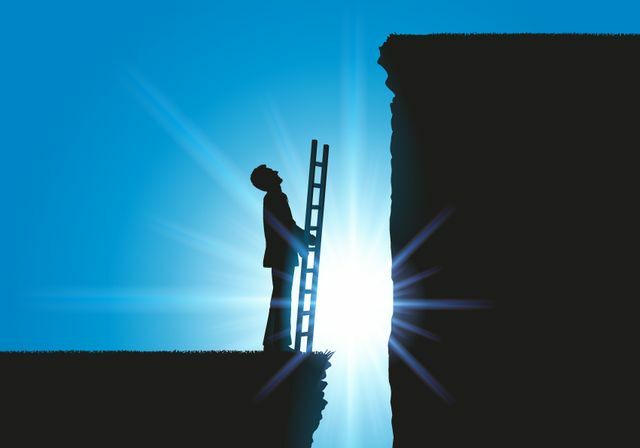 Although the barriers to SD-WAN adoption may seem daunting to many retailers, stepping out of their “network comfort zone” could prove the critical step for delivering the level of applications quality and customer experience needed to succeed in meeting the expectations of today’s consumers.